If you are one of the 90% of people in the US who own a smartphone, you probably use apps to do anything from check in with social media platforms (i.e. Facebook, Pinterest) to playing popular games such as Candy Crush Saga. Have you considered going high-tech with your creative projects as well and installing some popular quilting and sewing apps? Here are a few of our favorites. 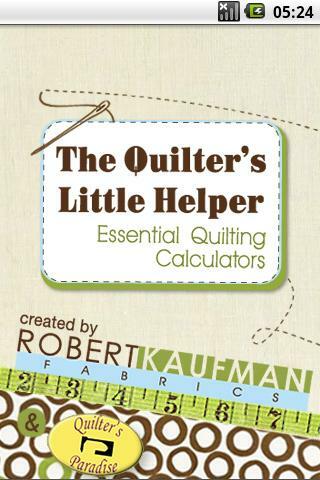 Developed by Robert Kaufman Fabrics and Quilter’s Paradise, this is a collection of handy quilting calculators. Designed by quilters, these all work with both U.S. and metric measurements. You’ll quickly see how much fabric is needed for backing, batting and borders, and how many rectangular pieces can be cut from a larger piece. There are even calculators for square-in-a-square, set-in and corner triangles. 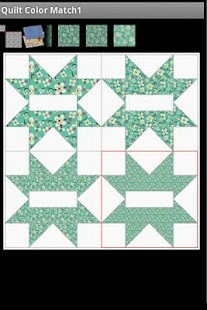 How much fabric will I need to make these quilt blocks?” “What would they look like in a quilt layout?” BlockFab will help you answer these questions for some traditional blocks in a variety of well-known quilt layouts. 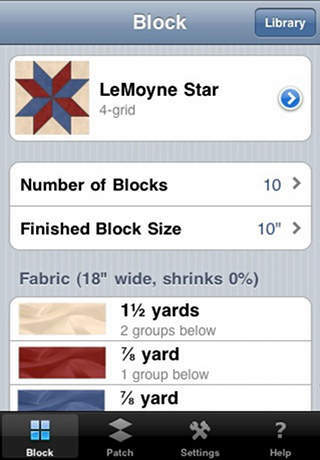 Choose from a small library of grid-based blocks, or from a library of patches frequently used by quilters. Then choose the number and size of blocks or patches. BlockFab will determine the amount of fabric you need to buy, and will give you some hints on cutting the blocks or patches from strips, based on the cutting assumptions used for calculating the fabric needed. Both English and metric units of measure are supported. 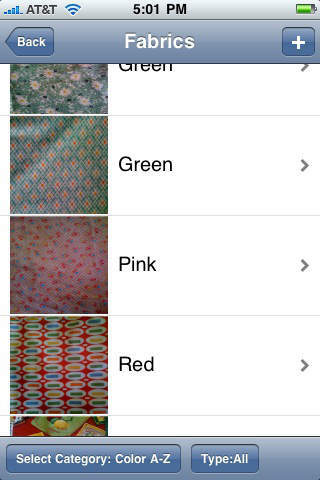 A very interesting app that lets you take photos of fabric then create a quilt pattern. You can then apply the fabric photos to the quilt pattern and see how the patterns would look on a finished quilt. It can be great way to see what certain fabric combinations look like together in a finished quilt without having to buy swatches and swap them around. Plus you can save your projects and export them to your phone’s image gallery. -Match old fabrics with new using large, full color photos- no more carrying fabric samples while shop-hopping. -Create project lists, allowing for easy access to a list of the fabrics you’ve gathered for your next project, or used in past projects. – Organize and view your stash by color, style, manufacturer, line or project. -Keep track of exactly how much of a fabric you have. Do you use any quilting and sewing apps? This entry was posted in AccuQuilt GO!, Helpful Tools, QuiltWoman and tagged AccuQuilt, quilting and sewing apps, quilting apps, QuiltWoman.com, sewing apps. Bookmark the permalink. 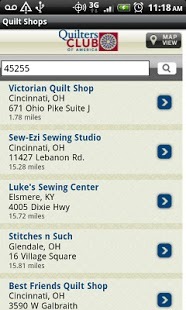 If you use Quilt Shop you should call ahead and also use another search engine because it only lists some shops and not all of those are still operating. I am trying to figure out how much fabric I need to purchase to make a bedspread 96×112. I wanted to make it reversible with blocks of two alternating colors. How would I calculate this? Is there an app for something like this?